Does home décor play a major role in your life? Are you the type who loves to plonk bits of colour around your home to make a statement? Green Leaf, a ceramic store in the city totally gets that and wants to help. Read on. 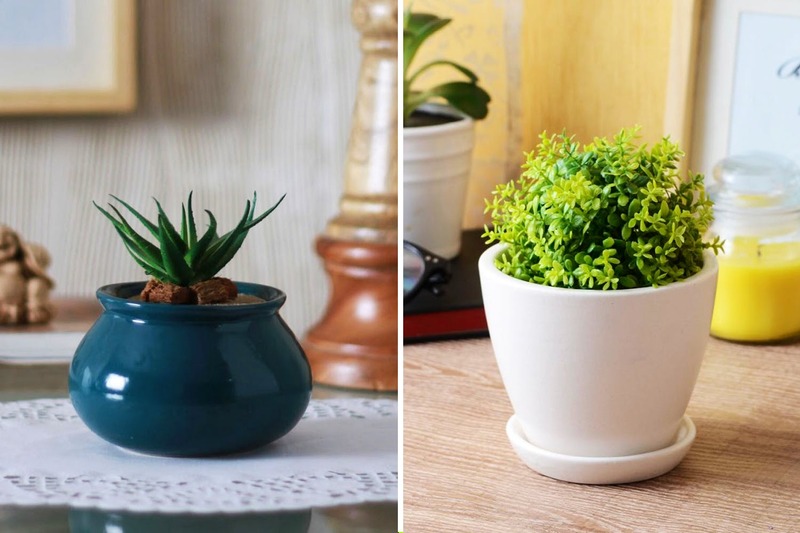 Established in 2015 by Nayan Jethwani, Green Leaf store sells ceramic posts, animal-shaped planters, shoe-shaped planters, ceramic vases, saucers, fibre planters and more. It’s the perfect solution to house-warming gifts – pick a theme or colour and shine up that corner. What makes it charming is that the ceramic planters, especially, can do a lot to brighten a small bathroom, add some pop to the kitchen or even make the bedroom cosier. The ceramic variety start from INR 150 and can go up to INR 6,500; while the ceramic vases cost between INR 500 – INR 1,200. If you like the fibre variety, they start from INR 1,000 and go up to INR 30,000. If you’re looking for ceramic options, add a splash of colour with some gorgeous ceramic and fibre pots and planters. If you have a design in mind, you can always show it to Nayan and he’ll design one for you. In case you're hunting for seasonal products, they also sell clay diyas during Diwali, decorative thalis and other home decor items.